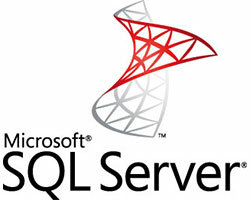 ASPHostDirectory.com a worldwide provider of hosting has announced the latest release of Microsoft's widely-used relational database management system SQL Server Server 2017. You can take advantage of the powerful SQL Server Server 2017 technology in all Windows Shared Hosting and Windows Reseller Hosting Packages! Addition, SQL Server 2017 delivers enhanced diagnostic information, error messages have been simplified, details are easier to find and correlate. Build mission-critical applications using high-performance, in-memory technology across OLTP, data warehousing, business intelligence and analytics. Sign up for our Microsoft SQL Server 2017 Web Hosting with no risk to try our excellent service start from £2.99/month! ASPHostDirectory.com offers cheap Microsoft SQL Server 2017 Web Hosting to all our new and existing UK customers. You can try our services before buy it. Get FREE 7 days Trial Hosting with us. There's no obligation to buy — you can upgrade to a more robust account or cancel at any time. No risk anymore, why wait longer?